California and Texas will play host to regional conferences of the North American Japanese Garden Association in January and February 2017. Saturday and Sunday, January 14 and 15, 2017 a regional conference will be held in Southern California at Descanso Gardens in Flintridge. Marking the 50th anniversary of Descanso Gardens, the conference is designed to “explore the Japanese garden experience in Southern California in a two-day regional event featuring hands-on workshops, an exhibition, lectures on horticulture and history and expert-led tours of five Asian gardens,” said a release from the North American Japanese Garden Association (NAJGA). 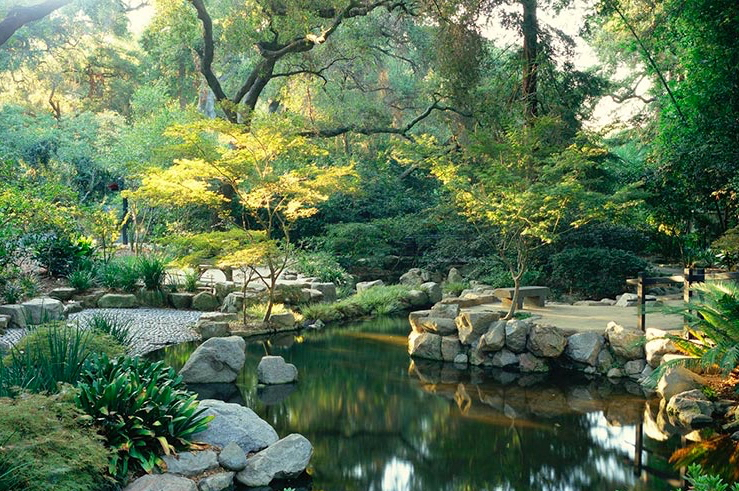 “Descanso Gardens, just northeast of downtown Los Angeles, is celebrating the 50th year of its Japanese garden. Descanso is embracing the garden’s evolving form, its identity as a focal point for a multi-cultural community and its role in inspiring new artistic creation. For lovers of camellia, a familiar plant in the Japanese garden, Descanso is home to the largest camellia collection in North America. 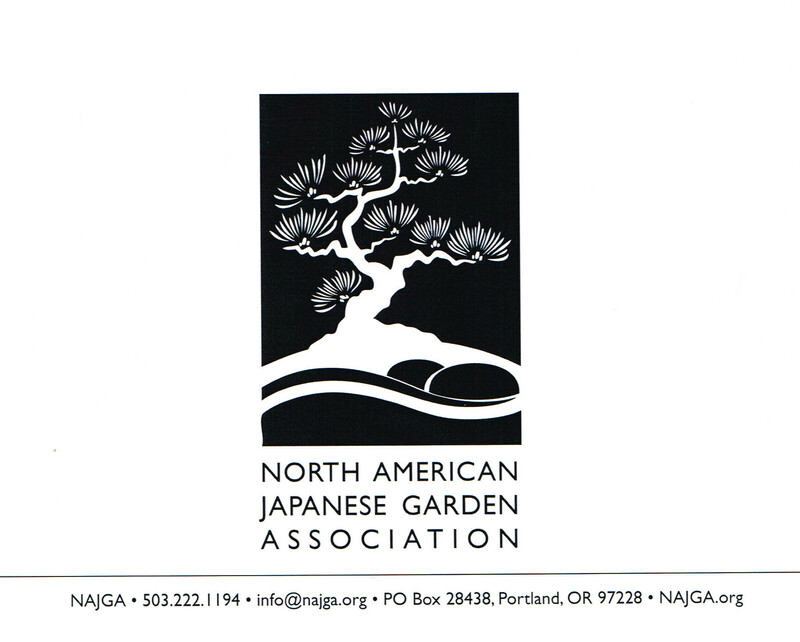 In February — 10 through 12, the Japanese Garden at Fort Worth Botanical Garden and the Meiners garden in Grand Prairie will host a NAJGA regional conference. The following text is quoted from the NAJGA web site offering registration for Texas events. “The diverse topography of the state of Texas contains elements associated with both the southern and southwestern parts of the United States, from the rolling prairies, grasslands, forests and coastlines in the east to the deserts of the southwest. As big as the land itself is the canvas of myriad possibilities for expressing the landscape-inspired artistry of a Japanese garden in the Lone Star State. 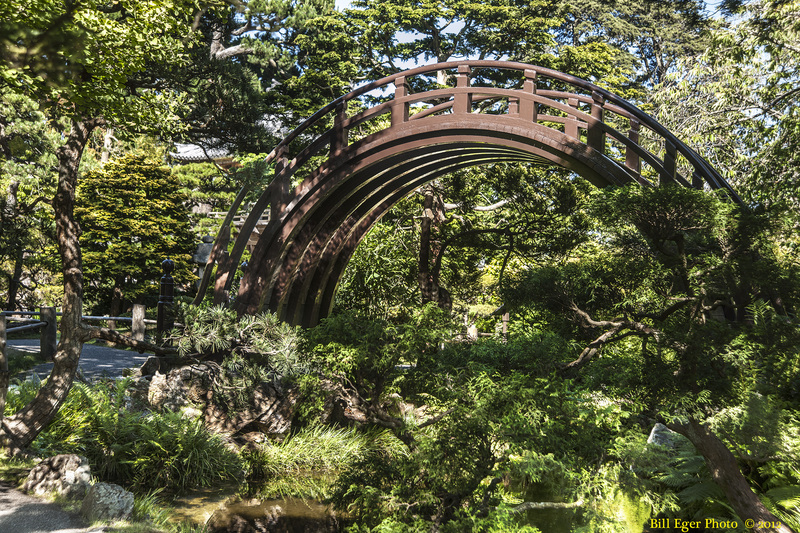 “The Japanese garden at the Fort Worth Botanic Garden and a private garden located in the city of Grand Prairie illustrate the range of traditional and contemporary landscape artistry worked into that sprawling canvas. The 7.5-acre garden in Fort Worth incorporates both a traditional stroll garden with a water feature and two interpretations of the dry landscape style. The Meiners Garden in Grand Prairie is an example of the adaptability of the Japanese garden aesthetic, with its emphasis on responding to the environment in which the garden exists. 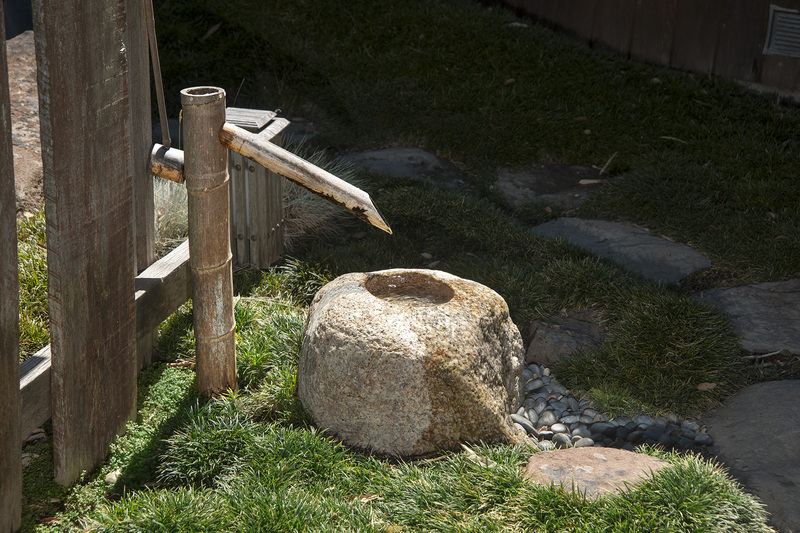 The tea garden and the hill-and-pond garden are seamlessly integrated with the residence in traditional Japanese manner. A larger pond garden in the premises is a parallel ongoing project. 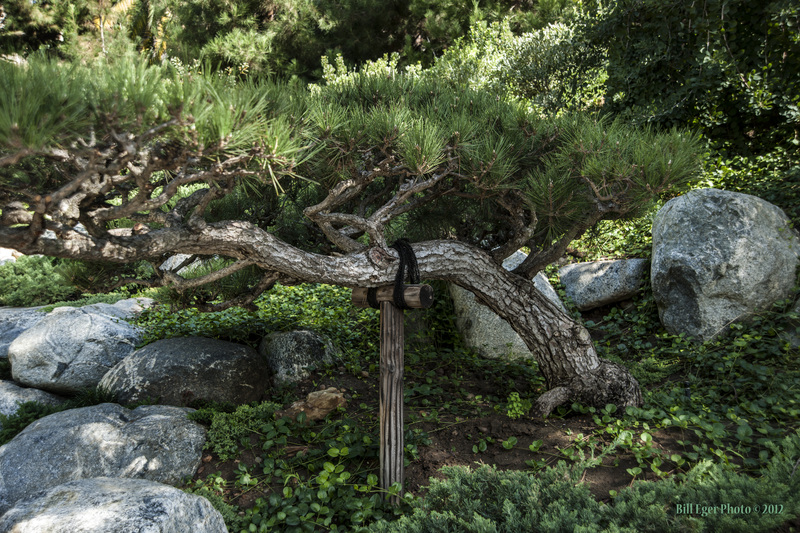 “These gardens illustrate how Japanese gardens are always a work in progress. 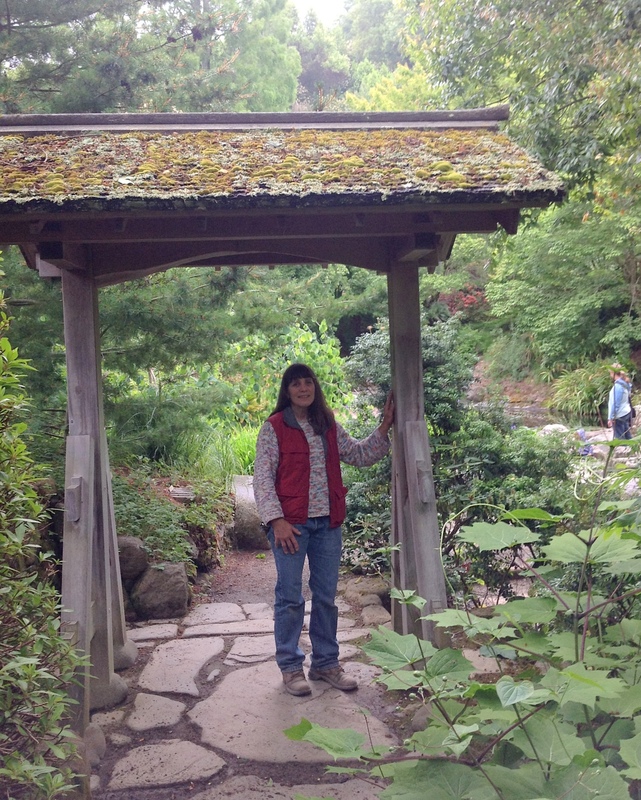 On February 10, 11 and 12, the North American Japanese Garden Association (NAJGA) offers a rare opportunity for participants to both shape the future of these gardens and appreciate them through hands-on sessions. The sessions include the repair and maintenance of man-made and horticultural elements, the creation of a new water feature, and a day of learning with a focus on the tea garden tradition. Activities included in the workshops include: bamboo fence repair, shaping of wave-form foliage, preparing trees for transplant, head water and stream construction, tours and tea ceremony. This event is eligible for CEUs (continuing education units) with professional organizations. See the NAJGA web site and registration form for more information. We passed through Los Angeles on our way to a Japanese garden conference in Denver sponsored by the North American Japanese Garden Association (NAJGA). 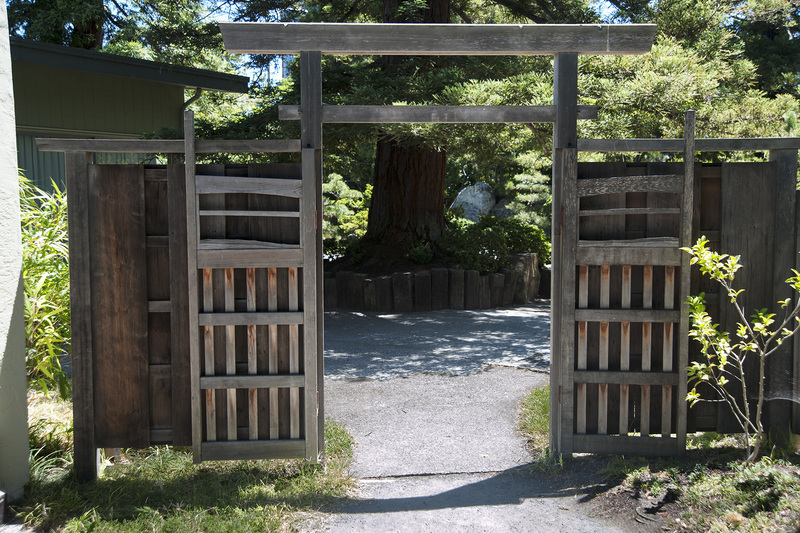 During a previous conference some years earlier, a tour guided us through the triangular garden at the Japanese American Cultural & Community Center designed by Takeo Uesugi in the early 1970s. 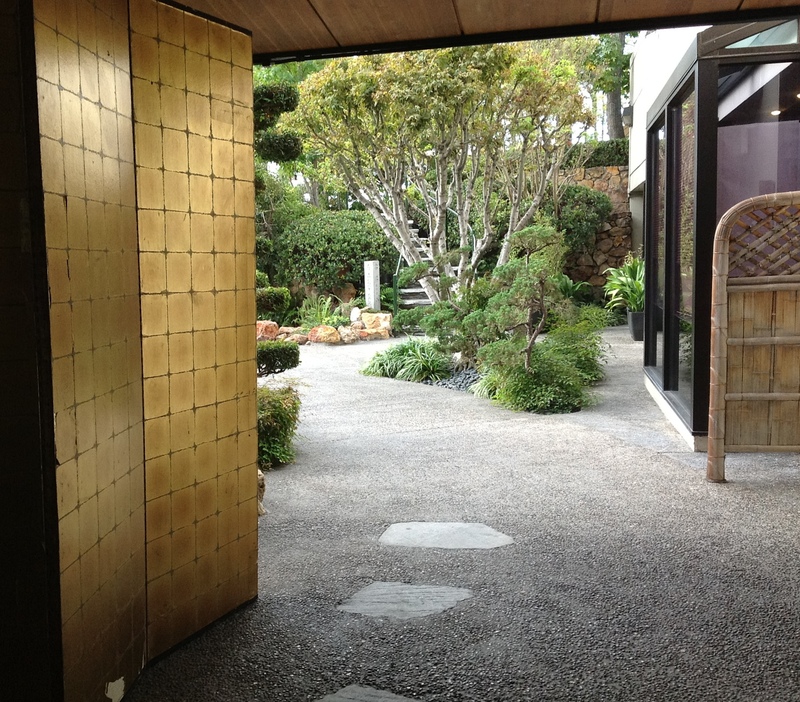 Thirty years later, Mr. Uesugi returned for a complete renewal of the same garden, which also involved modifying the downstairs conference room with folding glass doors that would open completely, blending inside and outside. As is true with many gardens, it is named not for the location, organization, or designer. This is the James Irvine Japanese Garden named for the foundation whose generosity made this hidden gem possible. It also is known as Senryu-en, Garden of the Clear Stream. Across the brick plaza and past the Isamu Noguchi sculpture to the other side is a wonderful wander through the stores and restaurants of Little Tokyo. On the other side of that is East First Street and the “new” Nishi Hongwanji of Los Angeles. Members of the sangha took time to point out how grateful they felt to have quite a number of landscapers among their membership. My personal favorites were the rustic lantern on the First Street side and several beautifully pruned pines. Back up First Street is the old Nishi Hongwanji building, now part of the Japanese American National Museum campus. Exterior glass admits great light far into the interior. The glass is continued inside with a very subtle gratitude to donors “wall” between the great hall and the outdoor cafe. Between the old Nishi Hongwanji and the Japanese American National Museum, a wide plaza leads back to monuments dedicated to Japanese American service in World War II. “Go For Broke” was their motto. Further up the street is Anzen Hardware, covered in an earlier post. And then back to the hotel we chose for proximity to all these places and the exquisite third floor garden, accessible via elevator from the lobby. Kyoto Gardens has become a Hilton DoubleTree. The garden hosts many wedding parties. Before leaving town the following morning, we walked down the street to see the Higashi Hongwanji gardens, presently being maintained by the son of one of the garden’s builders. Please do not waste your time trying to post unrelated material (spam). All comments are reviewed before they appear. Photos by K.T. Cannon-Eger. We welcome helpful remarks and sharing of material. If you share, please be nice and give credit.